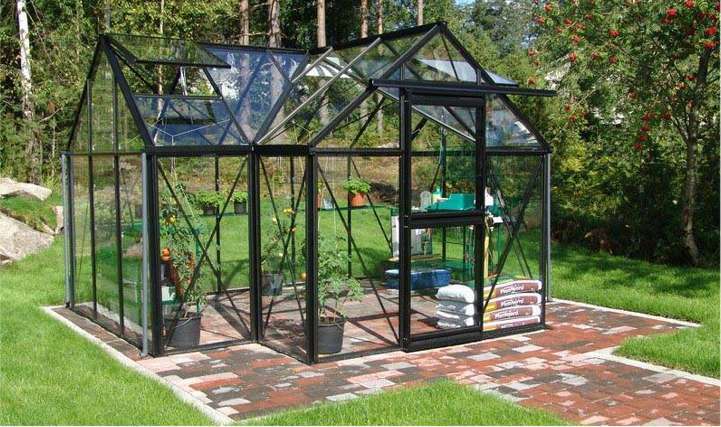 The Junior Orangerie I Black is the most unusual and most appealing greenhouse on the market today. 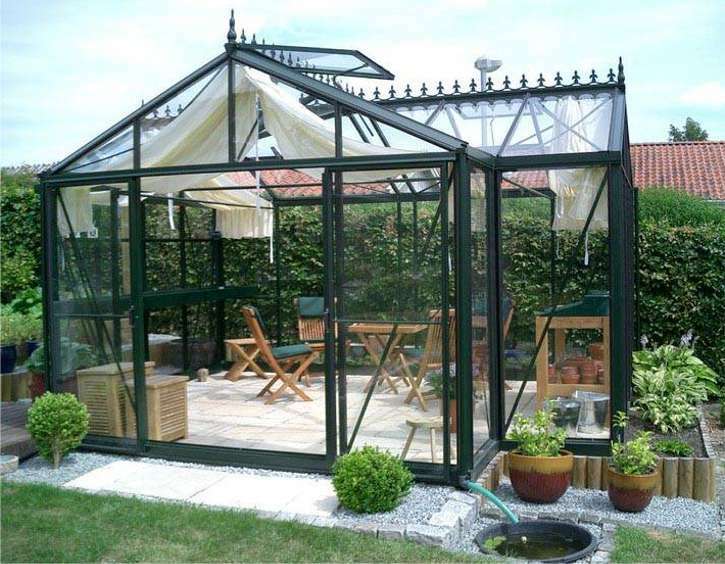 The elegant black framework, Old World Style, and European engineering combined with 5’ side walls and 8’ 2’ peak height give the gardener a comfortable 114 square feet of interior workspace. 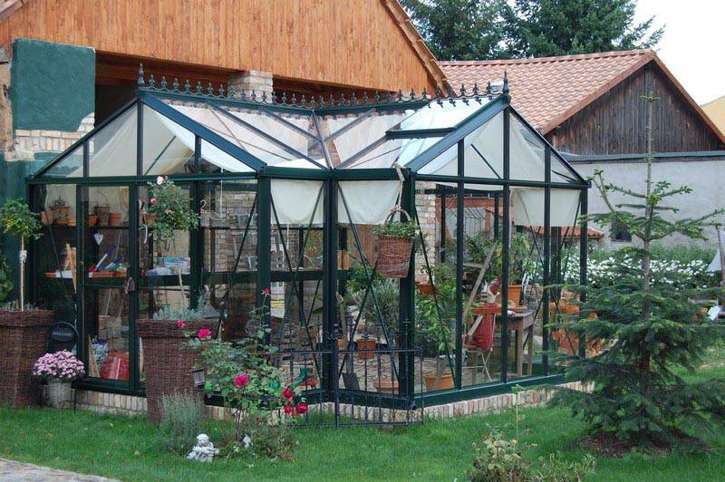 The Junior Orangerie II Green is the most unusual and most appealing greenhouse on the market today. 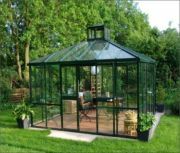 The elegant Dark Green framework, Old World Style, and European engineering combined with 5’ side walls and 8’ 2’ peak height give the gardener a comfortable 150 square feet of interior workspace. 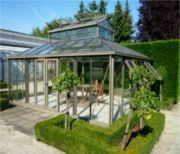 JR Orangerie not only provides a first-class quality greenhouse environment, it also adds significant old fashion English style and beauty to your backyard. 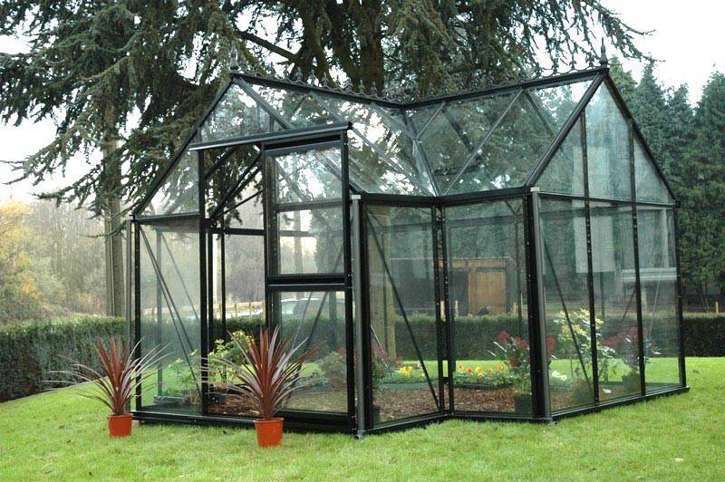 This is a classic English greenhouse.